Remarketing has been a popular method of increasing conversions and bringing back the potential customers to your site. Though, it can be achieved through a variety of ways, social media is by far the most popular and effective source among all. Moreover, among different social media platforms, Facebook is one such platform that offers you the freedom of running remarketing campaigns. If you have ever tried Facebook ad targeting, you would surely know how effective it is. In order to reap full benefits of social media platforms, remarketing is a must. What is remarketing and how effective it is? Let’s picture it this way, suppose you are running a WordPress Website, a visitor visits your websites, checks few products, adds some in the cart but leaves without making any purchase. You see a potential customer right there, and there is probably every chance that the person is in need of the product and will buy it sooner or later. How would you keep up with this potential customer? Send a whole bunch of sales team to stalk the customer and remind him/her about your product or business to the extent that he/she remembers your business’s name whenever he/she makes a purchase. Well, this is not only impractical but also, a lame idea since the cost of targeting only one potential customer may end up in a huge amount. This is where remarketing comes into play. In order to target only one potential customer at a time, you can target a whole bunch of potential customers through remarketing. Remarketing is a strategy that allows you to promote your products or website to people who have visited your site as well as shown interest in your services or products. 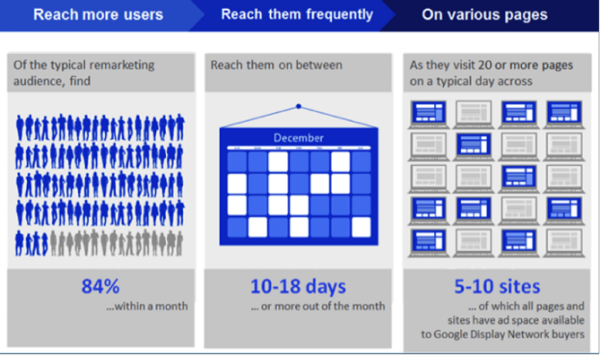 There are a number of reasons to use remarketing. 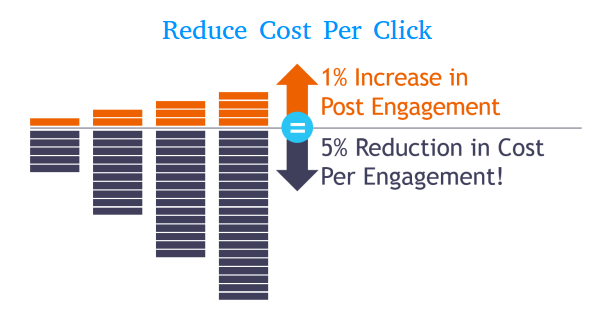 Remarketing cost on Facebook is usually lower than the cost of remarketing on search engines since Facebook is less targeted in comparison to different search engines. Well, as a matter of fact, web users search a particular product or service on the search engines; however, on the other hand, social media offers ads to the users while they are browsing their profiles. Thus, they are less likely to convert than search engine users. Technical speaking, Facebook users are not looking or searching for your products or services. But the fact is that Facebook remarketing can be as fruitful as search engine remarketing provided you know which audience to target. As an instance, users who have visited your website but didn’t make a purchase can be an easy conversion. Facebook remarketing gives you a better value for your money and offers higher click-through rate than other contests you run on it. We have only talked about remarketing and retargeting through social media, but it can also be used to expand market reach by targeting audience who shares the same traits as those of your remarketing group. 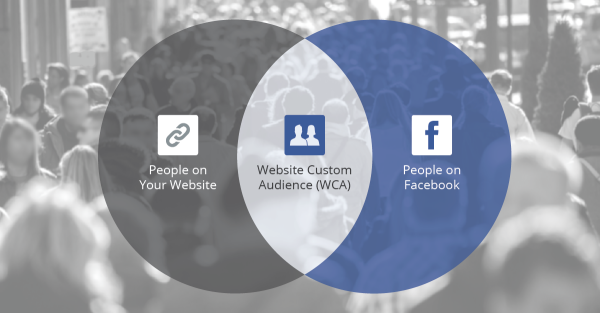 You can create an offsite pixel with “create lookalike audience” option. It always takes some time to convert potential customers into conversions. The ever-growing competition on the internet allows web users to compare prices before making any purchase. There are times when people visit your website, check the prices and navigate away to compare the prices and most of the times they forget your site and don’t know how to come back. This way you end up losing many potential sales. However, remarketing on popular websites including social media works as a remedy. As a matter of fact, when you come across something too often, you tend to remember at least one thing about it, be it its logo, name or brand color. This improves your brand reputation and chances of completing purchase cycle. Remarketing should not be limited to only potential customers. You can even target your existing customers and allow them to interact with your potential customers. Showing ads to a wider market gives you an opportunity to improve your brand identity on the internet. Satisfied customers often tend to share their reviews in the comments. This encourages your potential customers to make a purchase on your share and have the same experience. Keeping in mind the tools and freedom Facebook offers, you can accurately remarket your targeted audience without having to spend a large amount of money. 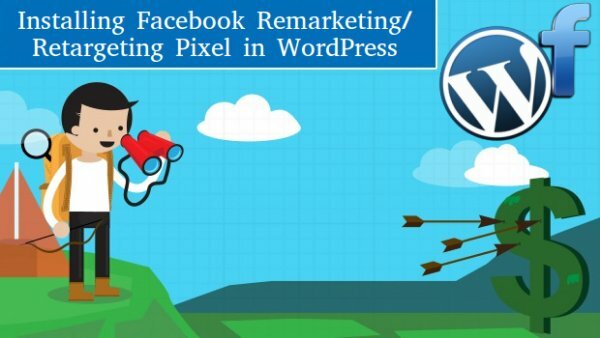 Why use Facebook remarketing pixel? Remarketing brings better results for emerging websites since they lack brand awareness and thus, target users who are already interested in their sites. 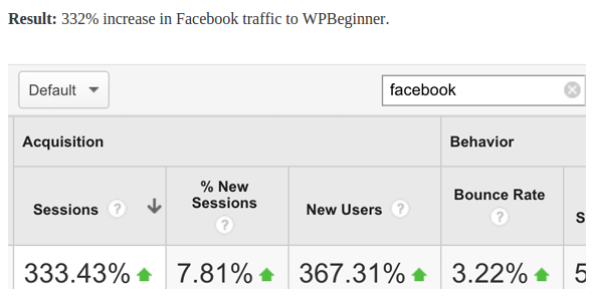 What is Facebook remarketing pixel? You probably have noticed that you start seeing the ad of the site you have recently visited on your Facebook newsfeed. These websites basically use a Facebook remarketing tool known as a Facebook remarketing pixel. This tool allows you to add few lines of code in your website header section in order to activate it. This way you can easily retarget the users you have visited your website in the past. 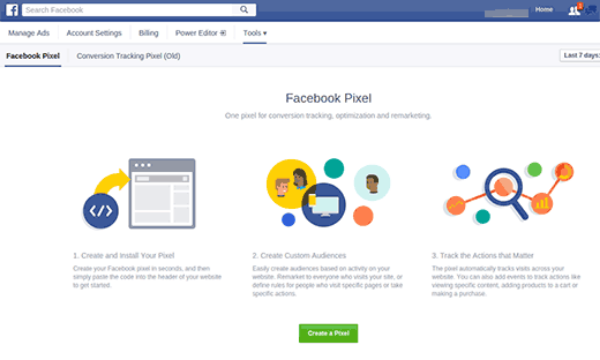 Facebook Pixel is a great remarketing tool, which is why we have compiled a step by step tutorial to help you set it up. In order to use this tool, you need to log in to your Facebook page. Once you have logged in, click on the “ads manager” option. Next, go to Tools -> Pixels and click create a pixel. When you click on “create a pixel” option, you will see a popup asking you “pixel name”. Fill in the relevant name and click on create pixel button to proceed. Note: You can choose a name for your pixel which is related to your product or business. Once you have completed this step, you will see a success page with a unique ID of your pixel written on it. You will be provided with two options – “install pixel now” and “email pixel code”. Choose the relevant option as per your preference and needs. Let’s assume, you click on “install pixel now”. You will immediately be directed to “view pixel code” where you can copy the code which you have to add in your website. If you are running a WordPress website, adding code is as simple as 1, 2, 3. If, in case, you are not comfortable with programming and codes, you can always ask your developer to help you out or you can use an “insert headers and footers” plugin since you do not have to mess around with the coding section. The pixel code should be added in the head section of your WordPress theme i.e. <head></head>. Click appearance → editor. Open your header.php file and find <head> section in your file. You can simply paste the code you’ve copied from Facebook and hit save. Always check whether your website is running fine or not to ensure nothing went wrong. However, there won’t be anything visible on your website after adding the code. Note: Whenever you make any changes in the coding of your WordPress theme, it is always recommended to create a child theme and make the relevant changes in it instead of the parent theme. This ensures that all your modifications are saved whenever you update your theme or WordPress. Like other plugins, install and active “Insert Headers and Footers” plugin. Click settings → insert headers and footers option. 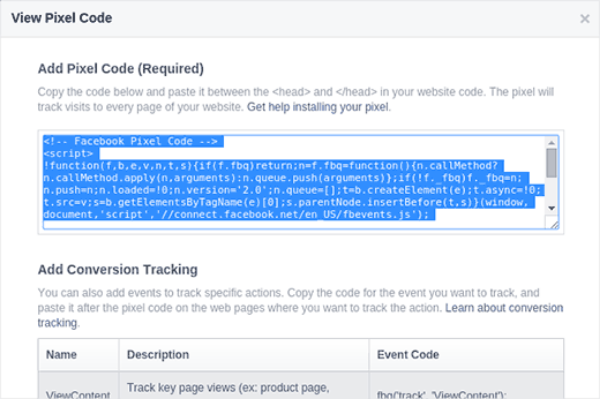 You will be redirected to the settings page of the plugin where you can easily paste the code you copied from Facebook in the “Scripts in header” section. Congratulations! 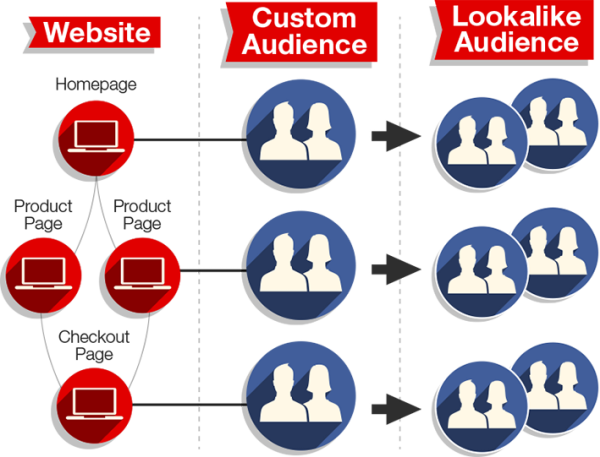 You have successfully added the Facebook remarketing pixel to your website and you are all set to cash the conversions. Now that your pixel is implemented in your website, it’s time to build your audience. You probably be wondering why creating an audience is important when you have successfully added the pixel which would do the job. 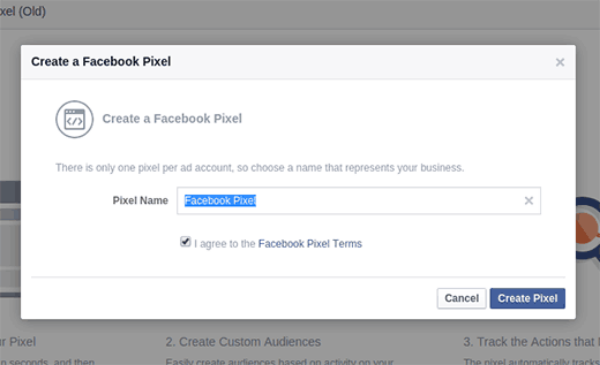 Well, the fact is Facebook pixel is more than just a remarketing tool. Instead of just targeting your potential customers or users who visit your website, you can target different audience depending on your requirement and preferences. 5. After clicking on the website traffic, you will be provided with 5 options along with a “custom combination” option which can be used to create a custom audience. 6. Choose “anyone who visits your website” option to target users who visit your website. 7. Hit create an audience and you are all set. Facebook re-marketing is a great practice to pull back your potential customers. By implementing the above tutorial during WordPress Website Development, you can make most out of it. Hope you like this article and don’t forget your share your experiences related to Facebook Marketing in the comments section below.